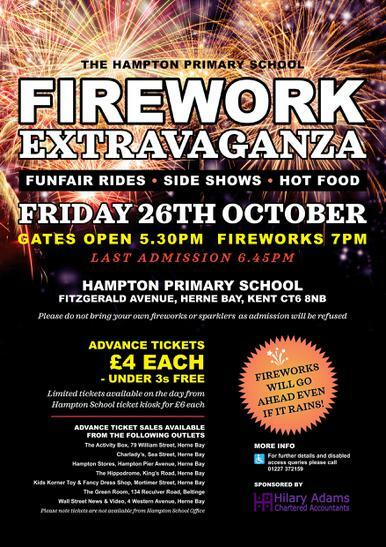 Come and join the fun at Hampton Primary School for the annual Firework Extravaganza - gates open at 5.30pm with funfair rides, side shows, hot food, and an amazing firework display at 7pm! Tickets £4 in advance, or £6 on the day (if available). For full details, please click on the Community/Event tab.